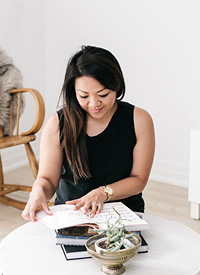 friday Insta-love — Love On Sunday Love On Sunday | Interior Styling in Toronto and the GTA. 1. David and I have been hunting for reception venues and we found a really strong contendor. I just love places with history and character and this area charmed me right from the get-go. 2. Name art. A simple and easy present to give any loved one. I'm really happy with the way it turned out. I'm thinking this would be great to give as xmas presents too. Do you have name or typography art in your home? 3. Now that fall is here, I feel like bringing out some warmer tones and colours. But my gold West Elm and kilim pillow seem to work all year round; love the versatility. I hope to infuse bold patterns in other areas of my home. 4. My cousin got married last saturday. She was a stunning bride and it was definitely one of my favourite weddings. I could feel the love and genuine respect they have for one another which is so beautiful. Also, what a party, my feet were sore from dancing all night long!